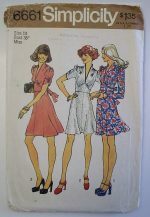 Sewing Pattern for Floor or Knee Length Sundresses in Size 12. Two Main Pieces – Ties Above Natural Waistline. 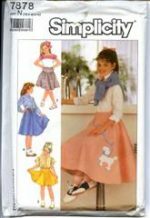 How to Add Ruffled Trim to Straps and Hems and Other Ideas for Personalizing. 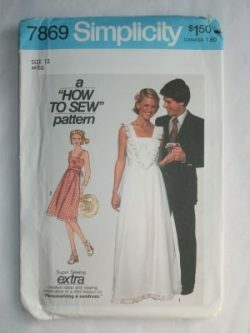 One Sheet Sewing Instructions. Spring and Summer Airy, Cool Style, 1970s. Envelope in very good condition. Slight wear and small tears on back and corner.